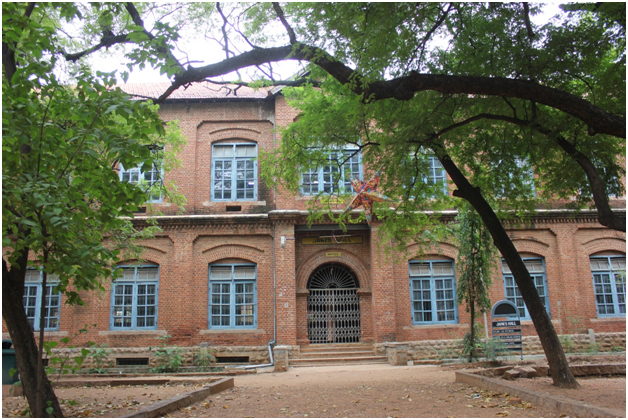 This was the first building that was constructed on campus in Indo-Saracenic style of architecture by Henry Irwin. This was dedicated on 24 February 1909. Office of the Principal, Vice-Principal, Controller of Examination (COE), Bursar and the Dean of Academic Advising are on the ground floor of Main Hall. On the first floor there is an assembly hall with a big dais for conducting meetings and examinations. 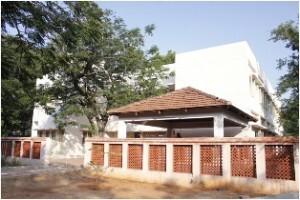 residential computer-training centre meant exclusively for the physically-disabled students. 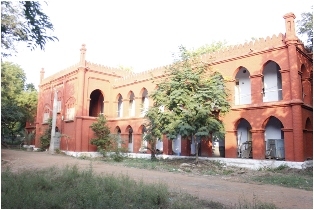 Mr.Mohamed Usman, former Governor of Madras, laid the stone for this beautiful building on 29 August 1929. This building is the gift of the parishioners of Binghamton, a small town in the US. UG Department of Zoology, Department of UG & PG Botany and Department of Bio-Chemistry function here. 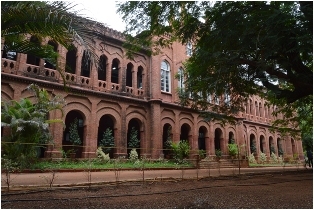 Engulfed in lush greenery, this building is located on the left of the campus as you enter the college. As its name suggests, this building was named after Edgar M. Flint, the sixth Principal of the college. 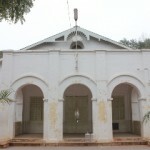 This was the official residence of the Principal once. Later it became the ladies hostel. Now it is the UG Department of English. This building was dedicated in 1957. 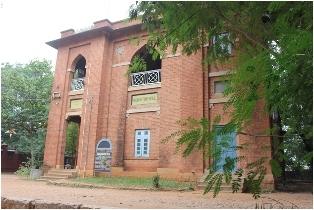 Sir A. Lakshmanasami Mudaliar, Vice-Chancellor, University of Madras, laid the stone for this Hall. PG Zoology, Chemistry and Microbiology function here. Named after a missionary, this rich library has a large collection of books, journals and antiques. The faculty room is located behind the library. French and Hindi Departments function on the first floor of the faculty room. This three-storey building near the chapel has classrooms for Economics, Commerce and Biochemistry students. 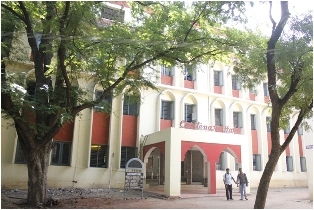 This building was built in 1983 to mark the centenary celebrations of the college. 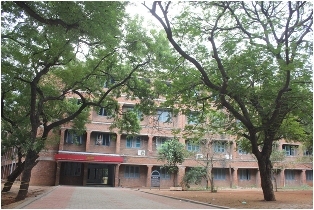 PG Departments of Mathematics, English and Economics are housed on the ground floor, first floor and second floor respectively. This building, located near the centenary Block, was built with the help of munificent funds from the Oberlin Shansi Memorial Association (OSMA) Oberlin, USA. The Oberlin Shansi Representatives reside on the first floor of this building. Office of Dean and Additional Deans for Polices and Administration, Curriculum Development and Research, Self-financing Programmes, Women Students Cell, International Exchange and Study Abroad, Students Services Committee, and Alumni Cell are on the Ground floor. 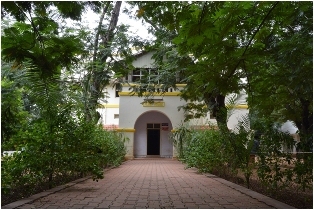 The Undergraduate department of Mathematics is situated in a building, which was once the bungalow used by Bishop Leslie Newbegin. In addition, this Hall accommodates the bookstore. It was inaugurated by the veteran actor Chevalier Sivaji Ganesan. 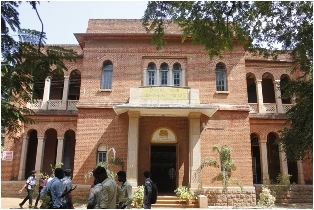 This place is the venue for various functions and events of the college. 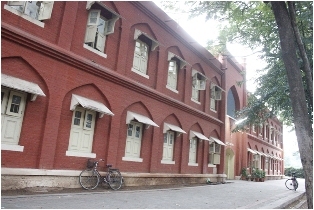 Opened in 1992 this four-storey building houses various departments such as Management Studies, Computer Science, Social Work, Bio-Chemistry, Commerce, Religion, Philosophy & Sociology, Study Center for Indian Literature in English & Translation (SCILET), and the well-equipped Seminar Hall. Rev.Telfer Mook, Secretary for India U.C.B.W.M. laid the foundation stone for this block on 24th February 1968. 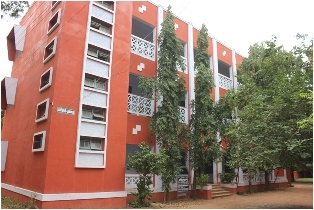 This is the first hostel on campus and also the first student hostel within a college campus in South India. It was built with a vision of accommodating more number of students and hence the biggest of all other hostels on this campus. The quadrangular structure of the hostel has a sprawling space providing ambient light and ventilation to the rooms. The students use this space for relaxation and meetings. Dr.Albert Bucker Coe, Minister of Oak Park Church, Illinois, USA laid the stone for this Hall on 21 January 1946. 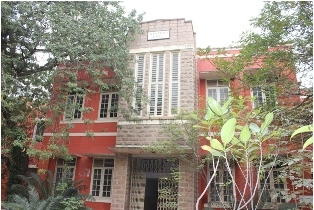 This is the second home for about ninety eight postgraduate students. Rev. R. A. Dudley, Secretary for India, American Board, laid the foundation stone for this Hall on 18 February 1956. One Hundred and Thirty One students stay in this hostel. Hon. Sir.C.P. Ramasamy Iyer, Law Member, Government of Madras laid the foundation stone for the Zumbro Memorial Hostel built in Memory of Rev. William Michael Zumbro on 5 September 1925.This hostel houses ninety-one students. 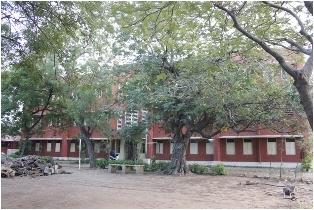 The foundation stone for this hostel was laid by Mr. John Thomson Esa, Director, Madurai Mills on 28 August 1969. His Excellency Shri. 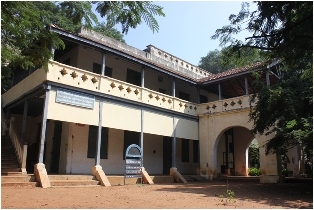 V. V. Giri, President of India, declared the hostel open on 13 August 1970. The function was presided over by Hon’ble Thiru. K.Veerasamy, Chief Justice of India. 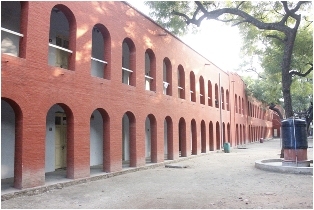 Extension Block was inaugurated in 2007. 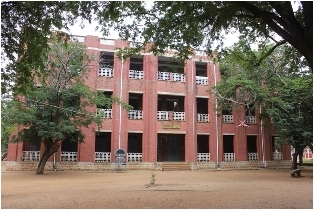 This is the home for 120 students of the college.